Q: What does APR stand for? A: APR stands for annual percentage rate. This is expressed as a percentage for the cost of credit. For the monthly periodic rate, divide the APR by 12. For the daily periodic rate, divide the APR by 365. Q: What is a periodic rate? A: A periodic rate means the rate of interest that is charged by a creditor on balance for a day, week, month, or year. Q: What is an introductory rate? A; An introductory rate is the rate that a credit card company gives a consumer for a set period of time, then it switches to the standard rate. The standard rate is the APR that will be charged after this period has expired. Q: Can I ask a credit card company to lower my APR? A: Your APR is usually based on the consumer’s FICO score. Research what a fair APR is on what the consumer’s FICO score is, then call the credit card company and ask if the APR could be lowered. Q: What is a credit limit? A: A credit limit is the maximum amount of credit that is available to a consumer to purchase any goods or services. Q: What is a Credit Cardmember Agreement? A: A statement that states all the terms and conditions of a credit card account. This will also express the annual percentage rate (APR), annual fees if applicable, the formula for the monthly minimum payment, and the dispute resolution process. Q: What is an interest charge? A: An interest charge is the amount of interest charged on your credit card account. The interest may vary due to different transactions, such as balance transfers, cash advances, and purchases. Q: Is an interest charge added to my account every month? A: An interest charge will be added to your account if the bill is not paid in full each month. This is also added if the payment is not received by the due date. Q: Can a credit card company raise my interest, even if I have paid on time every month? A: Under the Credit Card Act, they can not raise the rate whenever they wish. If a consumer is late on a payment by 60 days, the credit card company can raise the interest rate on the balance due as well as future purchases. They must give the consumer 45 days before they do this so the individual can cancel an account if they wish to do so. Q: What is the difference between a charge card and a credit card? A: A credit card is a card that purchases are made with and the consumer is billed for. A minimum payment is due each month, and the balance may be rolled over from month to month. With a charge card, the full balance is due when the statement arrives and the balance may not be rolled over. Q: What is a Cash Credit Limit? A: A Cash Credit Limit is the amount that is available for a cash advance from the total credit limit available. Q: What is a credit report? A: A credit report is a very detailed report that contains information that is used to determine if a consumer is credit worthy. 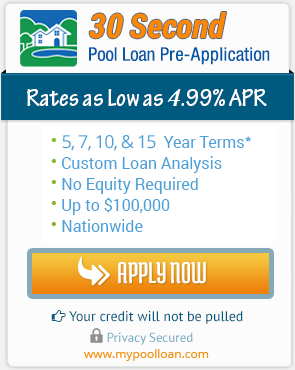 This information is compiled by the three major credit bureaus. This is the history of all the consumer’s credit, and will include personal data, such as the consumer’s address, employment history, and social security number. A summary of the consumer’s credit will be available, such as if payments were received on time as well as the credit card or account numbers, and what type of account it it. If any accounts were handed over to a credit agency, this will also be listed. Q: What is a credit score? A: A credit score contains a number that says the likelihood of a consumer paying on a loan or credit obligation. The number summarizes the information found on the credit report. Q: Where can I obtain my credit score from? A: A consumer’s credit score may be obtained from one of three major credit bureaus: TransUnion, Equifax, or Experian. Q: How can I contact the credit bureaus? Q: Do the three major credit card bureaus have websites? A: Please visit www.transunion.com, www.equifax.com, and www.experian.com. Q: What is the FACT Act? A: The FACT act stands for Fair and accurate credit transactions. Under this act, all consumers have the right to receive one copy of their credit report free every 12 months from each of the three major credit bureaus. Q: What effects my credit score? A: The following all have effects on a credit score: chargeoffs and collections, bankruptcy, closed accounts, late payments, tax liens, inquiries, and judgments. Q:What is payment after chargeoff/collection mean? A: This refers to an account that was either charged off as a loss by a company that the consumer had credit with, or that an account was sent onto a collection agency for payment. Once this happens, the full amount that was owed was paid, the account balance was brought to zero. Q: How long is a chargeoff on my credit report? A: Typically, a chargeoff is on a credit report for up to 7 years. Q: How long does bankruptcy remain on my credit report for? A: This depends on which type of bankruptcy was filed. Chapter 7, 11, and 13 bankruptcies all are public record and can remain on a consumer’s report for up to 10 years after filing. In some cases, chapter 13 can be taken off record after 7 years. This will depend on the credit reporting company’s policy. Q: How long do the rest of the things that effect my credit score stay on my report for? A: A closed account that has any negative feedback on it will remain on a credit report for up to 7 years. Any positive feedback will be left on for longer. A late payment and judgments will be on the report for up to 7 years as well. Judgments may include child support, small claims and civil claims. Tax liens have the right to be on the credit report indefinitely but should be removed after 7 years from the date of payment. Inquires, depending on if they are hard or soft, usually stay on for 2 years. Q: What is the difference between a hard and a soft inquiry? A: A hard inquiry can lower the consumer’s credit score slightly. A hard inquiry is when a lender checks your credit after the consumer has submitted an application for credit. A soft inquiry is when a lender checks the credit score of an existing consumer, or the consumer themselves check the report. A soft inquiry will not effect a credit score. Q: How often should I check my credit? A: A consumer should check all three major credit reports every 6 to 12 months to make sure that each is accurate. Q: What information is not on my credit report? A: The following information will never be on your credit report: your race, personally lifestyle, religion, criminal record, medical history, and any other info that is not related to credit. Q: If I find an error in my credit report, what should I do? A: Contact the credit bureau, and dispute it. You may do this by either a phone call or online. Have all information available when on the phone or online, and have a reason why you believe that it is wrong. A disputed item can take 30 to 45 days to be removed from a credit report. Q: What is a FICO score? A: A FICO score stands for Fair Isaac Corporation. It takes into consideration payment history, as well as new credit, types of credit that are used, the length of a credit history, and the current level that an individual has of debt. This will determine how creditworthy or how much of a risk a consumer is. This score ranges from 300 to 850. A very good credit score history will be indicated with a number ranging from anything above 650. Consumers that have a score below 620 will often have issues finding someone to lend them anything. Q: How is my FICO score calculated? A: In order to calculate a FICO score, an account must be open for at least 6 months. An account must be reported to one of the credit bureaus, and not have any undisputed activity on it. Q: If I have filed for bankruptcy, how can I minimize the effects that it will have on my FICO score? A: The bankruptcy will be used to calculate your FICO score for up to 10 years. Make sure that the bankruptcy is removed as soon as it can be purged from the credit report. Q: How can I increase my FICO score? A: In order to increase a FICO score, an individual must be responsible with their credit. Check credit reports on a regular basis and if there are any errors, report them. Pay bills that are due on time, and work to pay down any credit. Stay current on payments, and do not move debt around instead of paying it off. Only apply for a credit card when needed, and use them only when needed to.